The 7950 GX2 is currently the flagship ASUS video cards based on a NVIDIA Geforce G71 GPU. 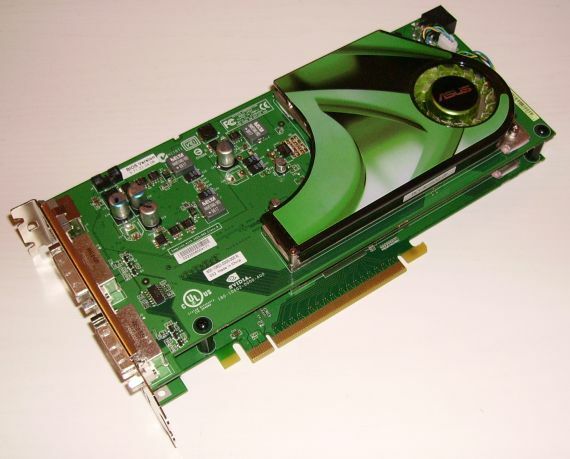 This graphics card is a direct rival of the ATI's Radeon X1950 XTX. The ASUS 7950 GX2 is provided with 2x512Mb (or 1Gb!) of graphics memory, which is from far sufficient for most of the current real time 3D applications. The G71 GPU is the most powerful graphics processor of the GeForce series 7 and the 7950 GX2 is equipped with two G71 GPUs. The 7950 GX2 is a DX9/SM3 class video controller: DirectX9 / Shader Model 3.0. It will therefore not be compatible with the next 3D applications based on the new DirectX 10 and the SM4.0 shaders. 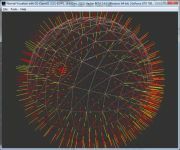 As we are already into the year 2007, we can observe on the specialized websites, the first Shader Model 4.0 programming tutorials (particularly the geometry-shaders). But don't worry, before seeing most of the games and 3D applications seriously exploiting the architecture of the DX10/SM4 video cards, you'll have time to go through your 7950 GX2. Page generated in 0.0018579959869385 seconds.